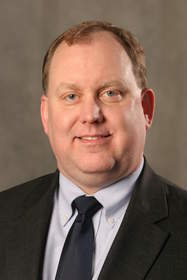 DEARBORN, MI--(Marketwire - February 25, 2011) - Christian Overland, Vice President of Collections and Experience Design for The Henry Ford, was named Executive Vice President, it was announced by Patricia Mooradian, president of the organization. "Throughout his career here at The Henry Ford, Christian has been a driving force behind our strategic plan and direction," said Mooradian. "He is truly dedicated to our institution and is committed to growing our agenda to be a sustainable business model as well as maintaining a strong vision for this organization to be a global resource of American innovation." As Executive Vice President, Overland is responsible for leading and managing the strategic planning, national positioning and visitor experiences both virtual and on-site. In addition, he oversees all historical research, education programs, experience design and is responsible for the maintenance and growth of the institution's collections. He maintains a strong vision and common agenda for the core business of the organization, working closely with The Henry Ford's President and Institutional Advancement Team to manage external partnerships and raise funds toward achievement of the institution's goals. Overland began his career at The Henry Ford in 1992 and has served in a variety of leadership roles including Leader of Collections Maintenance, Leader of Greenfield Village Transportation Programs, Director of Public and School Programs and Director of Greenfield Village and Henry Ford Museum. In 2002, he spearheaded the planning, development and implementation of Greenfield Village's restoration, managed the nine-month construction process and executed the outdoor museum's re-opening in 2003. In 2005, he led the development of Henry Ford Museum's Master plan and continues to spearhead that project with the implementation of various museum enhancements including the venue's makeover of its Automobile in American Life exhibition scheduled to re-open in early 2012. Today, Overland is overseeing The Henry Ford's Collections Access Network for Digital Objects project that includes a series of major changes and upgrades to the institution's processes, systems and software that will allow for global and interactive access to collection assets and intellectual expertise. In addition, he is spearheading the fundraising efforts for a new exhibition in Henry Ford Museum called Racing in America, a multi-sensory, interactive exhibit that explores the history of American automotive racing through the lens of innovation. Throughout his career, Overland has been recognized for his efforts and achievements with a wide variety of honors including the United States Forest Service Eastern Region's Honor Award for his efforts to bring conservation education to children; and the Michigan Paving Association's Award of Excellence, for restoring Greenfield Village. In 2005, Overland was also honored for the Village's restoration project with the Themed Entertainment Association (THEA) Award for Outstanding Achievement, and he was awarded by the United States Department of Agriculture with a medal of appreciation for bringing conservation education and the Forest Service Centennial to Greater Metropolitan Detroit children and their families. Overland is committed to community service and dedicates his time to several organizations including serving as a past president of the board of directors for the MotorCities National Heritage Area -- a unit of the National Park Service; committee member for the Getty Leadership Institute; executive board member of Great Lakes Council Boy Scouts of America; board member for Henry Ford Academy; board member for the Environmental Interpretive Center at the University of Michigan-Dearborn; board member for The Center for the Study of Citizenship at Wayne State University; member of the Detroit Regional Chamber's Leadership Detroit program; and commissioner of the Ypsilanti Historic District Commission. The Henry Ford, in Dearborn, Michigan, is the world's premier history destination and a National Historic Landmark that celebrates American history and innovation. Its mission is to provide unique educational experiences based on authentic objects, stories and lives from America's traditions of ingenuity, resourcefulness and innovation. Its purpose is to inspire people to learn from these traditions to help shape a better future. Five distinct attractions at The Henry Ford captivate more than 1.5 million visitors annually: Henry Ford Museum, Greenfield Village, The Ford Rouge Factory Tour, The Benson Ford Research Center and The Henry Ford IMAX Theatre. The Henry Ford is also home to Henry Ford Academy, a public charter high school which educates 485 students a year on the institution's campus and was founded in partnership with The Henry Ford, Ford Motor Company and Wayne County Public Schools. For more information please visit our website thehenryford.org.